We approach every home as if it was our own and will take as much time as needed to answer any questions or explain the installation process. After all, replacing your windows is a big step in increasing curb appeal and efficiency for your home. You and we want to make sure you make the right decisions. Our team has more than 15 years of sales and installation experience with Andersen™ to help guide your decisions. Our owner is a former Andersen™ employee, so you can rest assured our team has the tools and experience needed to get your job done right. Keller Window and Door in St. Louis, Missouri, specializes in replacement windows and patio doors from Andersen®. 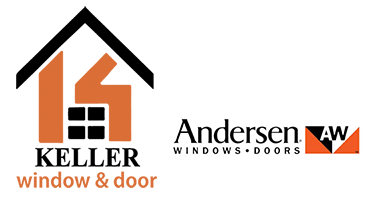 With over 100 years of window and door crafting experience, Andersen® is the unquestionable, premier manufacturer of replacement windows and doors for your home. 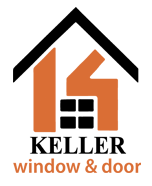 Manufactured in Minnesota, all of their products are crafted with beauty, durability and energy efficiency. An innovative Fibrex® wood composite is used in the sills of the double hung windows to prevent wood rot. Choose from 6 beautiful exterior colors and stain grade wood interiors to create the look that is perfect for your home. Add between-the-glass or full divided lite grilles to complete your transformation. For energy efficiency, Andersen® offers several glass options. From UV protection to blocking that summer heat, there is a glass option to fit every need. Most people like sales presentations from home improvement companies as much as they do fingernails on a chalkboard. From 3 hour presentations to “tonight only” pricing to ridiculous pricing and discounts, is it any wonder homeowners distrust our industry. What’s worse is the companies that try to manipulate you into thinking their product is the only solution to your needs. We don’t play the price game and advertise fake sales, phony price reductions “Free Installation” gimmicks or anything else to make you believe that the deal is only available tonight. We may from time to time offer a discount but we DO NOT increase our price to cover that discount. At Keller Window and Door we believe that everyone deserves the look and functionality of properly installed, energy efficient, beautiful windows and doors. To make it affordable for our customers, we now offer Long and Short Term Easy Financing Plan that offer low rates with easy payment terms. Now, affording your new windows and doors is easier than ever. Our philosophy is a no-nonsense approach to doing business. We don’t give some ridiculous “normal retail price” and discount it by thousands of dollars. Finally, we know you have a hectic schedule (like us) and we certainly DO NOT REQUIRE all homeowners be present for the appointment. We trust that you are able to relay the information you have gathered to the “significant other” in your life. If you would like a second appointment to answer specific questions or go over your specific installation, we are happy to accommodate that request.